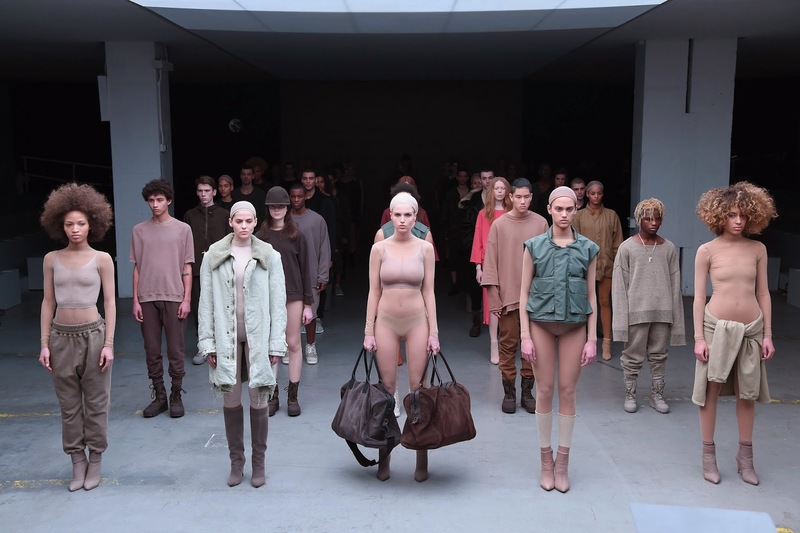 For Autumn/Winter 2015, Kanye West and adidas Originals unveil a bold new proposition: YEEZY SEASON 1, a collection of apparel and footwear that cherishes universality and timelessness. Described by West as the world's first "solutions-based" clothing line, the individual pieces define a style that matches the relentless pace of contemporary lives. "I don't want the clothes to be the life," he says. "I want the clothes to help the life." 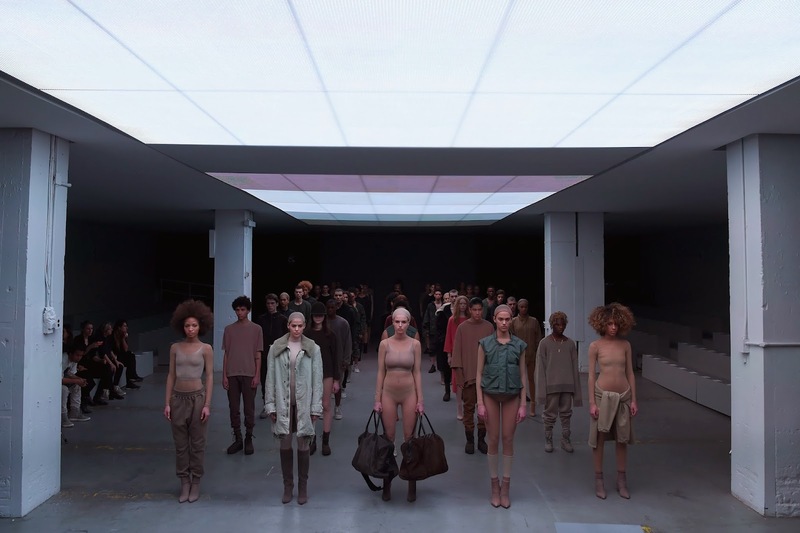 Presented during New York Fashion Week just before All-Star Weekend, the show was conceptualized by West in close collaboration with renowned contemporary artist Vanessa Beecroft. 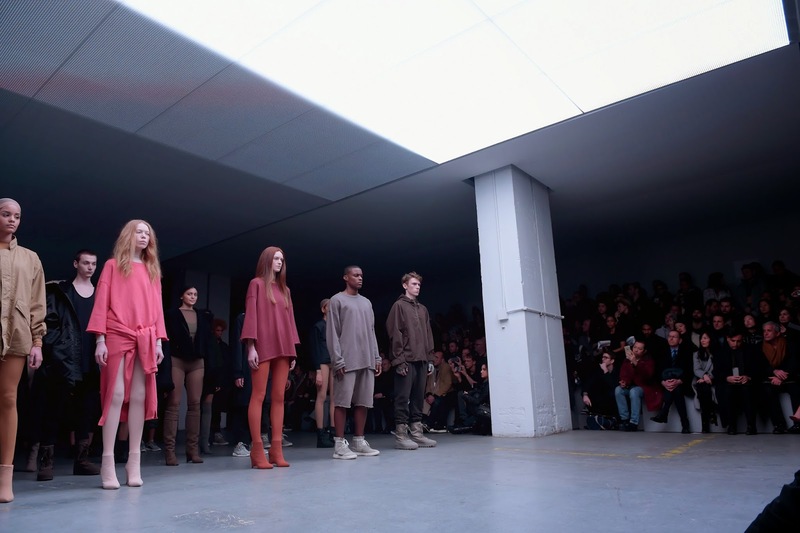 Upon entering the venue, guests were lead into a dimly lit room, where 9 rows of models stood stoic. 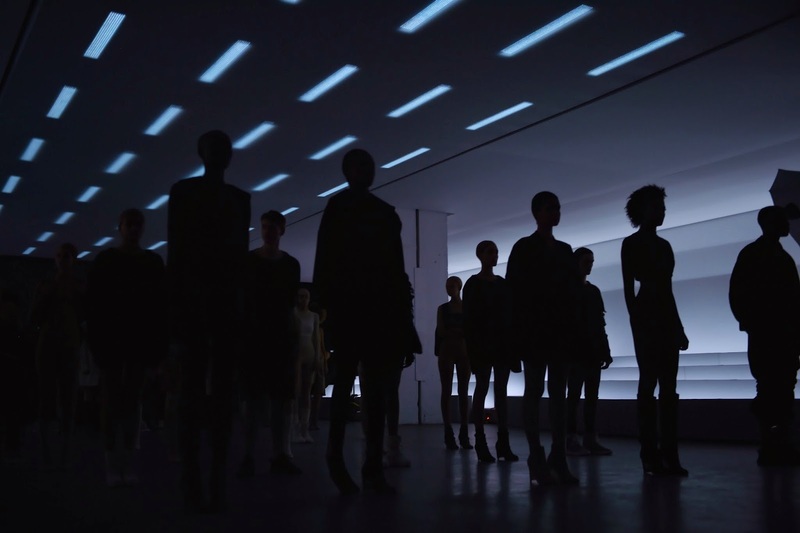 As lights turned on with blinding intensity, each row of models progressed forward, lending the audience a full view of the clothes. Guests including Beyoncé, Jay-Z, Kim Kardashian West, Rihanna, Drake, Justin Bieber, P. Diddy, Kris Jenner, Kendall Jenner, Khloe Kardashian, George Condo, Anna Wintour, Spike Jonze, Russell Simmons, Big Sean, Pete Wentz, Pusha T, A$AP Ferg, Steven Klein, 2Chainz, Cassie, Alexander Wang, Kehinde Wiley, Tom Sachs, Gia Coppola, Travis Scott, A-Trak, Jeanne Greenberg Rohatyn, Hailey Baldwin, and adidas athletes John Wall and Von Miller. 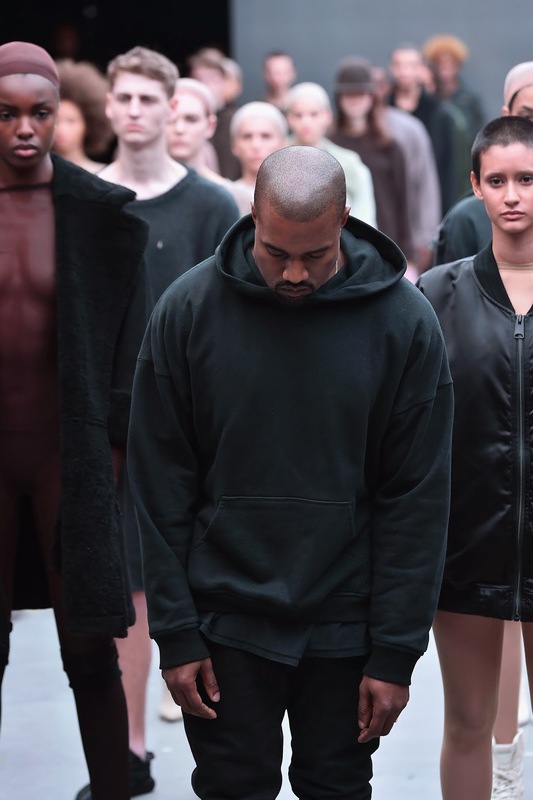 "Wolves" an unreleased track from West's forthcoming studio album embodied the pinnacle of this epic performance." With this collection, West's goal is to absolve consumers of dressing's daily stress by creating a line of high-quality essentials that can be freely combined in infinite ways—"like Legos," he says. For the designer this means stripped-down, comfortable, and unpretentious clothes for a "modern jet-set couple," pieces to be worn from the gym to the office to a meeting to the airport and everywhere in between. "I wanted something that felt like New York or Paris or Tokyo or Santa Barbara or Chicago—a worldliness and an ease." The women's collection, however, clearly and intentionally shapes a feminine silhouette with high-waist, knee-length, body-conscious knit skirts; floor-grazing cotton tube dresses; tightly woven running tees; and stunning crop tops ingeniously crafted from adidas socks. "This is a challenge to where fashion is currently—a new feminine ideal," West says, explaining the curve-hugging pieces. 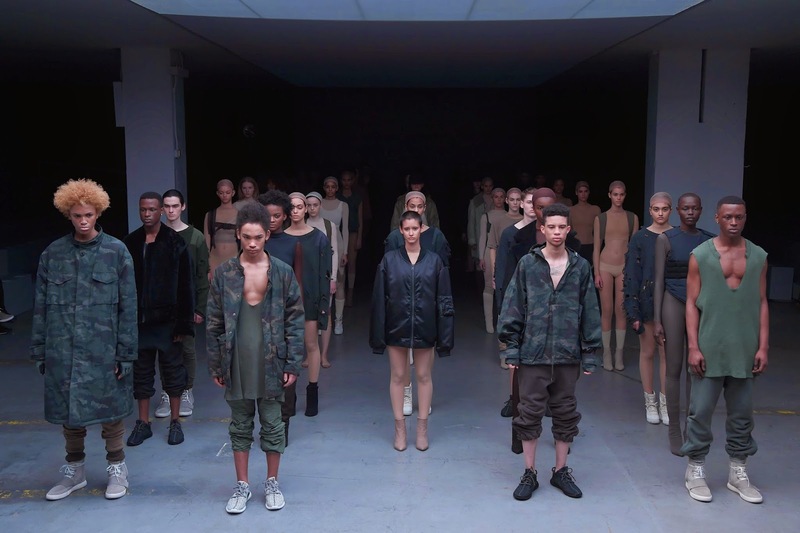 For footwear, West and adidas presented further breakthroughs following the highly anticipated launch of the YEEZY Boost. 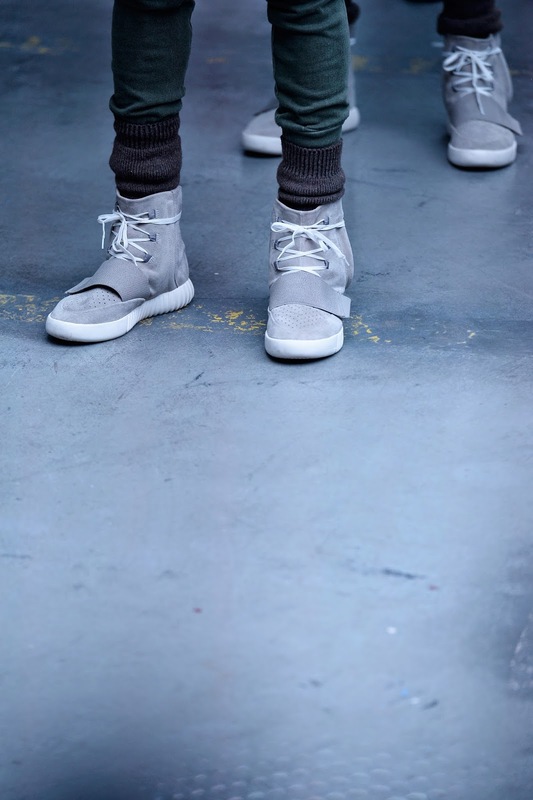 Newly revealed shoes included woven lo-top sneakers for men and suede stilettos and platform snow boots for women—developed in close tandem with adidas' products team. The designer expresses his gratitude to adidas for its unparalleled technical prowess. He says, "They are a super innovative company that gives artists a platform to create and dream."